"Look at the birds. They don’t plant or harvest or store food in barns, for your heavenly Father feeds them. And aren’t you far more valuable to him than they are?" "One is Your Father, the Heavenly One"
Please note how Jesus refers to God as "your Father." Is Jehovah God also your father? How do you address him in prayer? Are you entitled to call God your father? That is not such a stupid question as some may think, because if Jehovah is your "Father in the heavens" then it stands to reason that you must be either a son or daughter of his. After all, who else but his sons and daughters can call God their Father. Adam, as a son of God, enjoyed a close relationship with his heavenly father and was often in communication with him. But he lost that precious intimacy when he rebelled against his father. Sadly, the vast majority of Adam's offspring followed his bad example by rejecting God's guidance and care, and allowing themselves to come under the influence of one of the spirit sons of God who instigated this rebellion, Satan. The resulting terrible consequences of suffering and eventual death was not the fault of their heavenly father. The fact that he had provided his children with a law that meant to guide them was evidence that he loved them and wanted nothing but the best for them. For I shall declare the name of Jehovah. Do YOU attribute greatness to our God! A generation crooked and twisted! O people stupid and not wise? He who made you and proceeded to give you stability? If those who Jehovah has produced but who "have acted ruinously on their own part," are not considered by him to be his children, then what can be said of those who have listened to him? you, O Jehovah, are our Father. Our Repurchaser of long ago is your name." The Nation of Israel as God's "Son"
What a wonderful blessing and awesome responsibility it was for any Israelite to be recognized as a son of the true God because of his obedience and faith, being a member of the nation that God recognized as his people, his composite "son." "By myself I do swear,’ is the utterance of Jehovah, ‘that by reason of the fact that you have done this thing and you have not withheld your son, your only one, I shall surely bless you and I shall surely multiply your seed like the stars of the heavens and like the grains of sand that are on the seashore; and your seed will take possession of the gate of his enemies. And by means of your seed all nations of the earth will certainly bless themselves due to the fact that you have listened to my voice.'" —Genesis 22:16-18. If Jehovah recognized the nation of Israel as his son even before making the covenant with them, what can be said of Abraham, Isaac and Jacob? Would they not also be God's sons? Jehovah's promise to Abraham included three things: Abraham's offspring would become numerous like "the stars of the heavens," and Jehovah, as their father, would be with them as their protector; also the promised "seed," first mentioned by God immediately after Adam's rebellion in Eden, would come from Abraham's line of descent; and thirdly, by means of that seed "all nations of the earth" would receive blessings. (Gen. 3:15; Matt. 1:1-16; Ga. 3:16) It was in this last context that Jehovah referred to the children of Abraham as "my son, my firstborn," because the time would come when not only his "firstborn" son Israel would belong to Jehovah but he would also have many more sons, people of "all the nations of the earth," because of their having faith like that of Abraham, and blessing themselves by means of his seed. "Surely YOU know that those who adhere to faith are the ones who are sons of Abraham. Now the Scripture, seeing in advance that God would declare people of the nations righteous due to faith, declared the good news beforehand to Abraham, namely: "By means of you all the nations will be blessed." Consequently those who adhere to faith are being blessed together with faithful Abraham." —Galatians 3:7-9. "Blessed be the God and Father of our Lord Jesus Christ, for he has blessed us with every spiritual blessing in the heavenly places in union with Christ, just as he chose us in union with him before the founding of the world, that we should be holy and without blemish before him in love. For he foreordained us to the adoption through Jesus Christ as sons to himself, according to the good pleasure of his will, in praise of his glorious undeserved kindness which he kindly conferred upon us by means of [his] loved one. "This he caused to abound toward us in all wisdom and good sense, in that he made known to us the sacred secret of his will. It is according to his good pleasure which he purposed in himself for an administration at the full limit of the appointed times, namely, to gather all things together again in the Christ, the things in the heavens and the things on the earth. [Yes,] in him, in union with whom we were also assigned as heirs, in that we were foreordained according to the purpose of him who operates all things according to the way his will counsels, that we should serve for the praise of his glory, we who have been first to hope in the Christ." —Eph. 1:3-6, 8-12. In the same way, God purposed to choose only 144,000 whom he would anoint to rule with Christ in his heavenly kingdom (including the twelve apostles), and these would be chosen over the centuries from among God's earthly sons. The last ones will be sealed just prior to the Great Tribulation. All of these must prove themselves "faithful even to death" in order to receive their reward. Should any one of them prove unfaithful, as was the case with Judas Iscariot, then he too must be replaced. (1 Peter 1:3,4; Rev. 2:10; 5:9; 7:1-4; 14:4) The anointing of the first members of these started at Pentecost when Jehovah poured out his holy spirit upon the twelve apostles and one hundred and eight other disciples present with them. Nicolaus, a proselyte of Antioch, is mentioned in Acts as one of the seven, who "full of spirit and wisdom" was selected to share in the daily distribution of food. (Acts 6:5) He was certainly blessed as a disciple of Christ, but as a non-Jew the heavenly invitation would not have been extended to him during these three and a half years. Since it says that he was "full of spirit" does that not indicate that he had been anointed for the heavenly calling? Having God's spirit is not necessarily evidence of a person having been anointed, but rather it is God's helper that assists us in serving him, as was the case with the seventy older men of Israel who had been selected to assist Moses. God's spirit helped them to be "prudent." (Num. 11:16,17, 24-29; Neh. 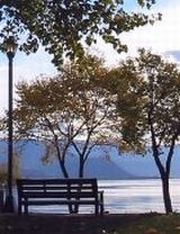 9:20; John 14:26) God's spirit helps all his people today to worship him. The three and a half years of exclusiveness for the natural Jews ended in 36 C.E. when the apostle Peter was sent to Cornelius. From then on people of the nations had the same opportunity of being chosen by Jehovah as did the Jews, for God no longer made any distinction. (Acts 10:1-48; Rom. 10:12) So, what can be said of the proselytes and Samaritans who became believers during the three and a half years? Simply that they were Christ's disciples without the heavenly calling. Yes, not everyone in the first century had the heavenly hope, but only those whom Jehovah personally chose. Yet all these believers were sons of God due to their faith in Christ. "YOU are all, in fact, sons of God through YOUR faith in Christ Jesus. For all of YOU who were baptized into Christ have put on Christ. There is neither Jew nor Greek, there is neither slave nor freeman, there is neither male nor female; for YOU are all one [person] in union with Christ Jesus. Moreover, if YOU belong to Christ, YOU are really Abraham’s seed, heirs with reference to a promise." —Galatians 3:26-29. Paul says that "you are all, in fact, sons of God through your faith in Christ Jesus." He does not qualify the "all" when he says "through your faith in Christ Jesus," as if some would be sons of God because of their faith while others, having like faith, would not be. The Jews who had faith in Christ Jesus were already sons of God, even before his coming, and people of the nations now had the same opportunity. Why did Paul need to explain to the Galatians that they were all, in fact, sons of God, and then, in connection with this, goes on to write about them being "heirs with reference to a promise"? According to "All Scripture Is Inspired Of God And Beneficial" (page 216), the Galatian congregations that Paul wrote to in that Roman province included the ones in Pisidian Antioch, Iconium, Lystra and Derbe, and were "made up of varying nationalities, such as Phrygians, Greeks, Romans, Gauls and a minority of Jews." The Romans gods were from a strange mixture of influences. Before Rome became a big city, the area around it, called Latium, was settled my superstitious villagers, the Latins, who believed in many gods and spirits. As Rome grew into a city and began to become more powerful it came into contact with the Greeks, who had a complex Pantheon of their own. It seems that the Roman gods were a mix of those two main influences; Latin and Greek. In Roman religion every household had its own personal spirits which protected it. The lares were the spirits of the family's ancestors. And the penates were kind spirits who garded the larder. Little figurines of these spirits were kept in a small household shrine, called the lararium. The spirits would be worshipped by the family on special days. Bits of food or wine might be sacrificed to them. With the vast size of the empire, there was of course many new gods from distant civilizations which the Romans learnt about. Romans didn't tend to think that only their gods were the right ones. If they heard of other peoples' gods they would think that these were real gods who watched over other parts of the world and whom they had simply not yet heard about. And so as they learned about these new gods, new temples were built to these new arrivals in the Roman pantheon. Just as Jehovah's law required that "unless blood is poured out no forgiveness takes place," there is also the law of Heredity and Reproduction. That is why Adam's natural offspring could never inherit what he had lost, his relationship with Jehovah as a son and the right to everlasting life. (Heb. 9:22) Paul explains in his letters how Jehovah has gone about satisfying both of his legal requirements; first, by providing the ransom, and second, by adopting as his own all those who put faith in Christ Jesus who paid that ransom. The benefits of the ransom do not come automatically to everyone. As Jesus himself said, "For God loved the world so much that he gave his only-begotten Son, in order that everyone exercising faith in him might not be destroyed but have everlasting life." (John 3:16) As natural offspring of Adam we individually need to make the decision to accept Christ and exercise faith in him by following him. Yes, we become God's sons due to our adoption by him, because we were "bought with a price" and thus no longer belong to ourselves. (1 Cor. 6:19,20; 7:23) But with the adoption as sons comes responsibility. We can no longer go on walking in sin as we formerly did when we were Adam's sons in the flesh. "Therefore, dear brothers and sisters, you have no obligation to do what your sinful nature urges you to do. For if you live by its dictates, you will die. But if through the power of the Spirit you put to death the deeds of your sinful nature, you will live. For all who are led by the Spirit of God are children of God. So you have not received a spirit that makes you fearful slaves. Instead, you received God’s Spirit when he adopted you as his own children. Now we call him, “Abba, Father.” For his Spirit joins with our spirit to affirm that we are God’s children. And since we are his children, we are his heirs. In fact, together with Christ we are heirs of God’s glory. But if we are to share his glory, we must also share his suffering." —Romans 8:12-17, New Living Translation. By being adopted by God we get bestowed upon us all the legal rights of a natural son, the right to inherit everlasting life and also the right to call God "Abba, Father." Jehovah makes that evident by giving us his holy spirit as a free gift which helps us to understand and appreciate our relationship with him, and to please him as our Father. That is true of all who will inherit everlasting life, whether in heaven or on earth. Paul was explaining this from his own standpoint of having been adopted with the hope of ruling with Christ in his heavenly kingdom. But does Paul not indicate in the same chapter of Romans that the adoption as sons was still future? And according to the New World Translation With References, in the footnote, "adoption as sons" is omitted in some early manuscripts (אABCVgSyh,p; P46D). Someone may ask, though, since we are God's sons, having been adopted because of our faith in Christ and his ransom, and our sins have been forgiven, why then are we still dying? Does it not say that "the wages sin pays is death, but the gift God gives is everlasting life by Christ Jesus our Lord?" (Rom. 6:23) Yes, the benefits of Christ's ransom are applied to us at the moment of our baptism, which we undergo because of our faith and in obedience to the command to be baptized. It is not because we have not been forgiven our sins that we continue to grow old and die, but rather because we do not live long enough to benefit from the healing of the ransom. To illustrate: A person with a terminal illness may be told by his doctor, "I have good news and I have bad news for you. I'll give you the good news first. There exists a treatment that will completely cure you of your disease. The bad news is that the cure takes effect over a period of a year and you have only a few weeks to live." Now, if there were a way for the doctor to keep his patient alive for the duration of the year then the patient would survive. "But now in union with Christ Jesus YOU who were once far off have come to be near by the blood of the Christ. For he is our peace, he who made the two parties one and destroyed the wall in between that fenced them off. By means of his flesh he abolished the enmity, the Law of commandments consisting in decrees, that he might create the two peoples in union with himself into one new man and make peace; and that he might fully reconcile both peoples in one body to God through the torture stake, because he had killed off the enmity by means of himself. And he came and declared the good news of peace to YOU, the ones far off, and peace to those near, because through him we, both peoples, have the approach to the Father by one spirit." —Ephesians 2:13-18. "For if by the trespass of the one [man] death ruled as king through that one, much more will those who receive the abundance of the undeserved kindness and of the free gift of righteousness rule as kings in life through the one [person], Jesus Christ. So, then, as through one trespass the result to men of all sorts was condemnation, likewise also through one act of justification the result to men of all sorts is a declaring of them righteous for life. For just as through the disobedience of the one man many were constituted sinners, likewise also through the obedience of the one [person] many will be constituted righteous." —Romans 5:17-19. How does their doctrine of "righteousness in degrees" measure up against what Paul says in his letter to the Romans? "But now God has shown us a way to be made right with him without keeping the requirements of the law, as was promised in the writings of Moses and the prophets long ago. We are made right with God by placing our faith in Jesus Christ. And this is true for everyone who believes, no matter who we are. For everyone has sinned; we all fall short of God’s glorious standard. Yet God, with undeserved kindness, declares that we are righteous. He did this through Christ Jesus when he freed us from the penalty for our sins." —Romans 3:21-24; New Living Translation. Another point the Watchtower article made is that, "Abraham did not know who that Seed would be; so he could not exercise faith in Christ Jesus and in his ransom sacrifice, without which no one can be declared righteous with the hope of everlasting life." What would have greater value in God's eyes: having faith in what we see at hand, like Christ's disciples being eye-witnesses to his teachings and miracles, or having faith in a promise the fulfillment of which might be hundreds of years in the future? Would not Abraham's faith be even more outstanding than those who saw the fulfillment and believed? Paul expresses the proper regard for such faith when he writes, "In faith all these died, although they did not get the [fulfillment of the] promises, but they saw them afar off and welcomed them and publicly declared that they were strangers and temporary residents in the land." (Heb. 13:13) For such faith Abraham was declared righteous. In this those chosen for heavenly life have no advantage over Abraham. The are not more righteous. "But that the dead are raised up even Moses disclosed, in the account about the thornbush, when he calls Jehovah ‘the God of Abraham and God of Isaac and God of Jacob.’ He is a God, not of the dead, but of the living, for they are all living to him." —Luke 20:37,38. "But he spoke this illustration also to some who trusted in themselves that they were righteous and who considered the rest as nothing: 'Two men went up into the temple to pray, the one a Pharisee and the other a tax collector. The Pharisee stood and began to pray these things to himself, "O God, I thank you I am not as the rest of men, extortioners, unrighteous, adulterers, or even as this tax collector. I fast twice a week, I give the tenth of all things I acquire." But the tax collector standing at a distance was not willing even to raise his eyes heavenward, but kept beating his breast, saying, "O God, be gracious to me a sinner." I tell YOU, This man went down to his home proved more righteous than that man; because everyone that exalts himself will be humiliated, but he that humbles himself will be exalted.'" —Luke 18:9-14. 2. The nation of Israel was God's son, his firstborn, even while they were still in Egypt. 3. Proselytes and Samaritans did not receive the heavenly invitation between 33 C.E. and 36 C.E. 4. Having or receiving God's holy spirit is not evidence in itself that a person has been anointed to rule with Christ in his heavenly kingdom. All God's people may receive it. It is God's free gift to us and our Helper. Proselytes and Samaritans received it during the exclusive three and a half years. Jesus promised: "I will request the Father and he will give you another helper to be with you forever, the spirit of the truth, which the world cannot receive." (John 14:16, 17) This "spirit of the truth," or holy spirit, is not a person but a force—Jehovah’s own active force. It is powerful beyond measure. It is the force that Jehovah used in creating the universe, in performing spectacular miracles, and in providing visionary revelations of his will. Since Jehovah is not using his spirit in those specific ways today, does that mean that we do not need it? On the contrary! In these "critical times hard to deal with," we need Jehovah’s spirit more than ever. (2 Timothy 3:1) It strengthens us to bear up under trials. It helps us to cultivate beautiful qualities that draw us closer to Jehovah and to our spiritual brothers and sisters. (Galatians 5:22, 23) How, then, can we benefit from this marvelous help from Jehovah? First, we need to pray for holy spirit. Jesus said: "If you, although being wicked, know how to give good gifts to your children, how much more so will the Father in heaven give holy spirit to those asking him!" (Luke 11:13) Yes, Jehovah is the best Father imaginable. If in faith we sincerely ask him for holy spirit, it is inconceivable that he would deny us this gift. The question, then, is, Do we ask for it? We have good reason to make that request in our prayers every day. —w04 12/15 pp. 19-20 pars. 11-13 Do You Accept Jehovah’s Help? 5. Since Jehovah chose his first anointed sons from among his "firstborn" son Israel they both are obviously his sons; not just those chosen to rule with Christ. 6. "YOU are all, in fact, sons of God through YOUR faith in Christ Jesus." (Galatians 3:26-29) All of God's people are his sons and daughters, due to their faith in Christ Jesus. Becoming sons and daughters to Jehovah by separating themselves from false religion and this world does not apply only to those with the heavenly hope. "Do not become unevenly yoked with unbelievers. For what fellowship do righteousness and lawlessness have? Or what sharing does light have with darkness? Further, what harmony is there between Christ and Belial? Or what portion does a faithful person have with an unbeliever? And what agreement does God’s temple have with idols? For we are a temple of a living God; just as God said: "I shall reside among them and walk among [them], and I shall be their God, and they will be my people." "‘Therefore get out from among them, and separate yourselves,’ says Jehovah, ‘and quit touching the unclean thing’"; "‘and I will take YOU in.’" "‘And I shall be a father to YOU, and YOU will be sons and daughters to me,’ says Jehovah the Almighty."" —2 Corinthians 6:14-18. "Do not give up when you are punished by God. Be willing to take it, knowing that God is teaching you as a son. Is there a father who does not punish his son sometimes? If you are not punished as all sons are, it means that you are not a true son of God. You are not a part of His family and He is not your Father. Remember that our fathers on earth punished us. We had respect for them. How much more should we obey our Father in heaven and live? For a little while our fathers on earth punished us when they thought they should. But God punishes us for our good so we will be holy as He is holy. There is no joy while we are being punished. It is hard to take, but later we can see that good came from it. And it gives us the peace of being right with God." —Hebrews 12:7-11, New Life Version. 9. Abraham was declared righteous for life, as Jesus showed, as are all who have faith like his. 10. The apostle Paul did not have all the information regarding the heavenly calling. For example, he did not understand that there would eventually be only 144,000 chosen. That was not revealed until the apostle John received the Revelation about the year 96 C.E., well after Paul had proved faithful unto death.